Summary and Definition: The Committee on Public Information (CPI), was established on April 13, 1917 and headed by George Creel. 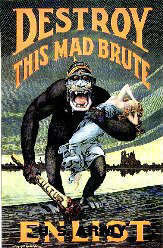 The CPI provided propaganda during WW1 to rally the support of American citizens for all aspects of the war effort. 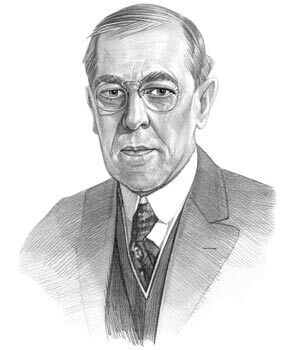 President Woodrow Wilson considered that public support was to the entire wartime effort. Information in the form of propaganda was provided by the Committee on Public Information (CPI) and used in many different forms such as posters, pamphlets, magazines, billboards, movies, photographs, public speakers called the "Four Minute Men" and daily press releases to shape public opinion to build support for the war. The Committee on Public Information (CPI), aka the Creel Committee, was also tasked with censorship of potentially damaging material. Woodrow Wilson was the 28th American President who served in office from March 4, 1913 to March 4, 1921. One of the important events during his presidency was the creation of the Committee on Public Information during WW1. Fast, fun facts and Frequently Asked Questions (FAQ's) about the Committee on Public Information aka the Creel Committee. What was the Purpose of the Committee on Public Information? The purpose of the Committee on Public Information was to provide members of the public with information about the war effort and the censorship of anti-war material. The CPI became the US government’s propaganda and publicity agency. Who was the leader of the Committee on Public Information? The leader of the Committee on Public Information was journalist George Creel used modern public relations techniques to promote the war effort, at home and abroad. Why was the Committee on Public Information formed? The Committee on Public Information was formed to create public unity, counter anti-war sentiments and to counter enemy propaganda. To promote a patriotic message and to stifle any opposing messages. What was the role of the Committee on Public Information? The role of the Committee on Public Information was to produce a variety of propaganda materials which would reach everyone in the nation and countries abroad by "selling America to the World".. The following fact sheet contains interesting facts and information on Committee on Public Information for kids. 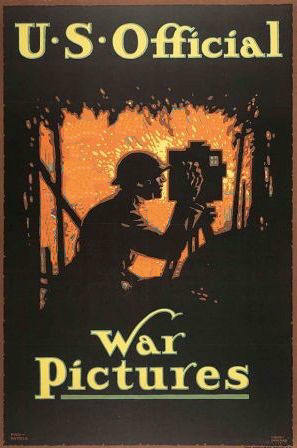 Committee on Public Information Fact 1: During WW1, national governments employed propaganda on an unprecedented scale. Committee on Public Information Fact 2: The arrival of the modern mass media, with its ability to reach millions of people rapidly, made propaganda an indispensable element of wartime mobilization - refer to WW1 Mobilization. Committee on Public Information Fact 3: The absence of public unity was a major concern when America entered the war. Just one week after the United States entered the war on April 6, 1917, the CPI was created on April 13, 1917. Committee on Public Information Fact 7: The Creel Commission used propaganda techniques and communication vehicles to create anger and fear among American citizens to illustrate how terrible life would be if America and its allies lost the war to the Germans. Committee on Public Information Fact 8: The Creel Commission used various mediums including leaflets, movies, photographs, cartoons, pamphlets, booklets, magazines, posters, press releases and billboards to promote its messages. Committee on Public Information Fact 9: The Creel Commission bombarded foreign media outlets with news, official statements, and features on American life and the war effort. Several hundred volunteer translators helped the CPI with this task. Committee on Public Information Fact 10: 1,439 drawings were prepared by CPI volunteers for the production of posters, window cards and and signboards. The following fact sheet continues with facts about Committee on Public Information for kids. Committee on Public Information Fact 13: Movies were extremely popular in America and highly effective abroad. Hollywood played its part in propaganda. 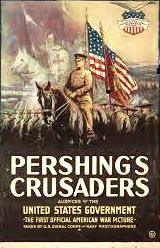 ● The names of the most famous movies were "Pershing's Crusaders", “Our Colored Fighters” "America's Answer", "The Little American", "The Kaiser, Beast of Berlin" and "Under Four Flags." ● Charlie Chaplin starred in "The Bond"
Committee on Public Information Fact 15: The Creel Commission secured millions of dollars worth of free advertising space from the Press. Committee on Public Information Fact 17: On an average week, more than 20,000 newspapers carried information provided through CPI propaganda. Committee on Public Information Fact 19: George Creel entitled his 1921 memoir of his CPI tenure as "How We Advertised America". The article on the Committee on Public Information provides detailed facts and a summary of one of the important events during his presidential term in office. The following Woodrow Wilson video will give you additional important facts and dates about the political events experienced by the 28th American President whose presidency spanned from March 4, 1913 to March 4, 1921.